Vuosi päättyi Kanttarelli Publishingin suhteen varsin mainiosti! YLEn haastattelu (tlossa YLE Areenaan, mutta uteiliaimmat voivat ladata sen täältä:). Ja vielä tämän vuoden puolella voidaan vielä julkistaa loistava uusi teos, joka ilmestyy ensi vuoden alkupuolella. Lisää tietoa runoilija Tapani Tullan teoksesta täältä . Hyvää ja Menestyksekästä vuotta kaikille! On my way to National Broadcasting Company to give an interview! “One such aspiration was writing a book. This is actually my second book. The first book didn’t see the light of day. It was that faithful journey from Seoul to San Diego, San Francisco, and to Helsinki with a lay-over in London. Earlier that week I’ve had a delicious dinner by our hosts in a very…’local’ restaurant. Dinner was delicious, but little did I know, that I left the restaurant with a very uninvited guest. Next morning I was feeling feverish. I didn’t know it at the time, but I was suffering from the first stage of Neuroleptospirosis, running a high fever, and feeling really sick. I always traveled with two computers, one company-issued business-computer and one civilian computer. It is amazing how much free time one has in business-traveling. In lounges, during flights and generally just waiting. So I decided to put that time on good use. I started writing a book about business-strategy in digital era. I had one version of the book in computer’s hard-drive, and a back-up copy in a memory stick. I was about 80% done with the book. When I left Frisco, I was so sick that I decided to put my civilian computer in my luggage. Something I never do. But I was so weak, I could barely walk. As faith would have it, the bag, with the computer and memory-stick inside it, was stolen. And good-bye to the life I had. Ask, and the Universe replies. I hope you had fun..another year over, and a new one just begun…. I had a great Xmas! And now It’s time for some post-party depression. Cant help it, a gloomy ennui washes over me. Time to reflect the past year. But not today. Feeling too blue to really delve into that yet. Don’t get me wrong, this was one of the greatest years, Hardly any time spent in hospital, several great moments with the love of my life, got a book published, publishing companies really starting to take off. 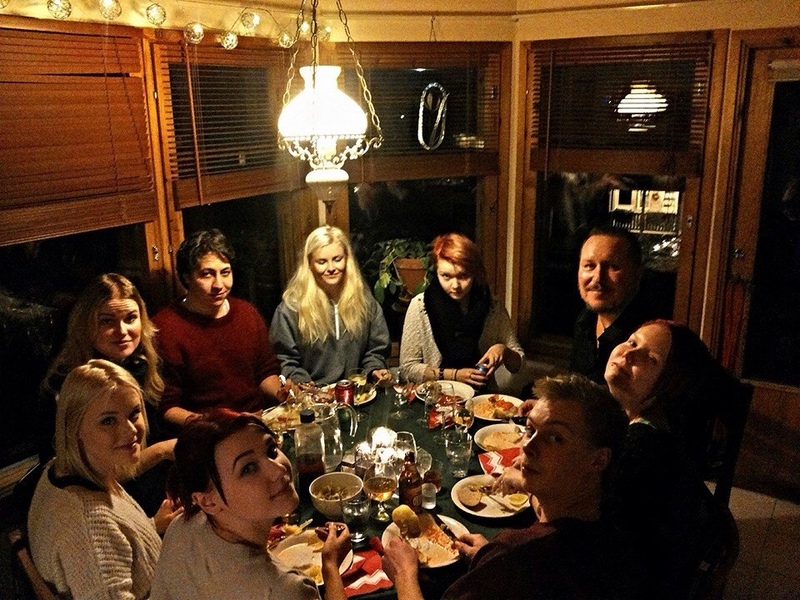 Great gettogethers with my children and their boy/girlfriends. A LOT to be thankful of. Rejoice your every day here, you never know how long it’s going to last. Do I whine too much? Looking for Poets who want to get publishded! We are looking for poets, that have not yet had the opportunity to get their poems published. All the Published poets get their picture into the cover of the book, and a free copy deliver to their home. All the poets retain the copyright to their work. Editor of this antohogy is Anumari Väistö. Kanttarelli Publishing is planning to have the book out by summer 2014, and it will be sold at http://www.kanttarelli.com/kauppa, major webstores, Amazon and selected book-stores. There will be published both as a paperback as well as e-book. Suunnattoman hienoa saada tämä eeppinen eos myös pokkariksi kauppaan! 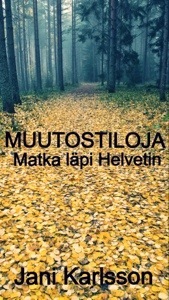 Olen etuoikeutettu, kun oma kustantamoni, Kanttarelli Publishing, on saanut kunnian saattaa tämä mestariteos laajemmin saataville. Nyt teillä on mahdollisuus ennakkotilata kirja suoraan kustantamon kirjakaupasta. Kirja ilmestyy Tammikuussa 2014. Koska kerrankin saatiin kaikki lapset tyttö/poikaystävineen saman pöydät ääreen, päätimme juhlia vähän etuajassa. Ei Joulu ole päivämäärä, vaan tunne sydämessä, iloa viettää aikaa Rakkaiden kanssa, halua olla yhdessä.